Art Sites - part of Good Sites for Kids! 3 Perfect Papercraft Projects for beginners - a video episode from Sylvia's Super Awesome Maker Show! "On this episode we’ll be taking a look at the incredibly popular craft that everyone is into! No, not Minecraft... Papercraft! I'll be showing you how to make three perfect papercraft projects for beginners: A 3D folded Minecraft avatar, colorful swirly paper, and hopping origami paper froggies! Lets go!" It's fun, and you can't beat her enthusiasm! The 25 Best Art Materials for Kids "The 25 Best Art Materials for Kids Including The Artful Parent's top 10 can't-live-without, all-time favorites." 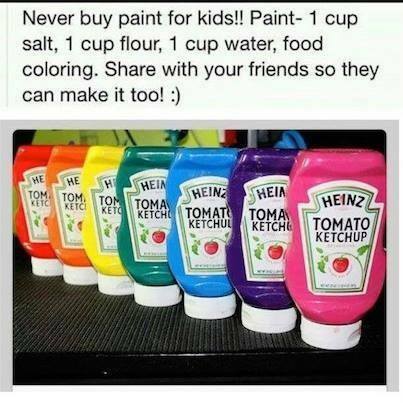 From The Artful Parent. List includes things you know about and things you haven't thought of yet. This site has plenty of other good things as well. 112 Cartoon Elements Make Learning The Periodic Table Fun "Proof that everything is easier to learn when presented via Pokemon-style. Artist Kacie D. lovingly anthropomorphized every single element, which deserves to be converted into a children’s book. Created way back in 2011, Elements - Experiments In Character Design started life as the senior thesis project of Kacie D. Seventy-two of the elements were on display at the Milwaukee Institute of Art & Design between April and May of that year, and Kacie completed the additional forty elements by November." Kid learners love these 112 toons, which engage and act as mnemonics. 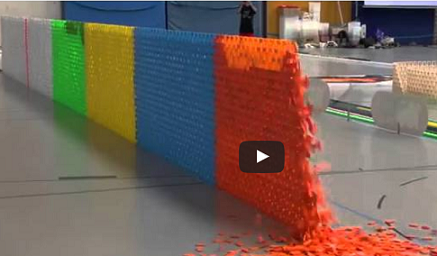 128,000 Dominoes Falling into past a journey around the world. 7:12 video follows the whole event as a gym full of dominos follow their paths. They transform art, move objects, drop a 30 meter long wall, and generally act like kinetic art. This is fun to watch, and the crowd goes wild! Activity Village Here's a site from the UK that will help out parents and teachers. Welcome to Activity Village, where you will find coloring pages, home school resources, educational resources, kids crafts, puzzles, printables, Sudoku for kids and much, much more ... Click on the menu bars above to explore over 3000 pages of activities to help you keep your kids busy!" Tons of coloring pages! The site has a popup to start, x it out or just subscribe. Ancient Roman Cameos from Ancient Links. "So, what on Earth is a cameo anyway? It's an engraved gem, or a piece of jewelry that contains a relief image on a negative background, called intaglio... Ancient Roman cameos were made mostly of semi-precious stones, such as agate, onyx and sardonyx, and are known today as 'hardstone cameos'. The Romans also created glass cameos..." This is very beautiful art. Here are eight of the very best surviving Roman cameos, including the largest - Great Cameo of France. The best and most famous glass cameo, the Portland Vase, is also shown. Many cameos made political statements, and this is discussed. There are more cameos on Pinterest. "...the Kunsthistoriches Museum in Vienna has the best collection of ancient Roman cameos in the world. Go check it out." If you can't go in person, you can see them online. This stunning little pendant is made of real gold. things there and then sail back to their own lands. instead of carrying the loads on their backs. "Anzud, the lion-headed eagle, the god of storms. the Treasure of Ur was found in Mari, which is an Akkadian city. 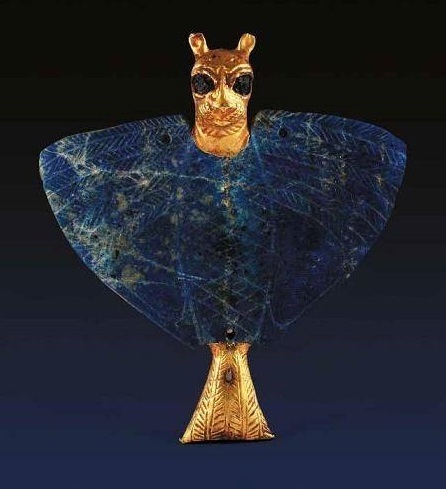 more than 100 items, including jewelry, cylinder seals, and statuettes." Art of Asia "A resource for museum visitors, teachers, students, and everyone interested in Asian art, culture, and history. The Art of Asia features objects from The Minneapolis Institute of Arts' permanent collection, and explores several cross-cultural Asian themes." This has history & maps, paintings, sculpture, silk, architecture, Buddhism, and the most amazing online ceramics collection (from Neolithic to Satsuma and Sung Dynasty) you will ever see anywhere! (pages and pages of pots, plates, and porcelain!) You must see this! Art Hub for Kids Super nice and kid friendly, colourful too. Parents and teachers can pick projects for little to try. There are whole sections of guides for drawing, painting, sculpting, even origami! Older kids can follow the guides and do some clay sculpting, paper craft, drawing animals and volcanoes, etc. There is a parents' section, an ebook tutorial, and lots of art contests! Thanks to Rob and family. The Art Institute of Chicago Has Put 50,000 High-Res Images from Their Collection Online 50,000!!! You can even zoon in! Waaay in! Thanks, AAC!! Art Zone Interactive art that you can make online. From the National Gallery of Art. There are 18 interactive projects. You will need Shockwave to make these work. Artsonia - "Just Beyond Imagination! Artsonia is the largest student art museum in the world! Every child can have an online art gallery and preserve their masterpieces for all time! The story of Artsonia begins with a dream that artwork created from kids around the world can be shared and enjoyed by everyone. If kids say the darndest things, imagine what they draw! Today, due to the passion of thousands of art teachers worldwide, that dream has come true. Please enjoy the millions of pieces of kids' artwork showcased! And if you are an art educator, please join us and submit student artwork or lesson plans." 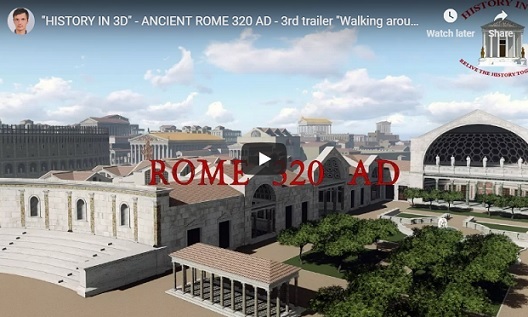 promo of the ‘eternal city’ of Rome at its architectural peak, circa 320 AD (watch the first and second animated promo). Titus to the Colosseum (along with the statue of Colossus Solis), arches of Titus and Constantine, and Ludus Magnus. 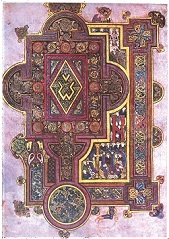 The Book of Kells Online The Book of Kells is a precious and glorious hand-written illuminated manuscript of the Four Gospels, in Latin. It was written around 800, maybe earlier, by Irish monks at a monastery on the Isle of Iona, Scotland. The pages are made of vellum (prepared calfskin). It was moved to Ireland to get it away from Viking raids. Yes, students, it is that old. Learn more of its history here. Now you can scroll though and look at each of the 340 pages. You don't have to read Latin to enjoy the enchanting, mystical art on every page. You can zoom in on every little detail. It gets even better! If you have an iPad, there's an app for this! Bug and Insect Crafts for Kids "How to Make Bug and Insect Crafts to use in Your Home School and Preschool. Insect Crafts, Science, and Creative Writing Learning Activities for Home School. Use 'nature bugs' in your science class to teach about insects and spiders, in your English class to promote creative writing or technical writing, and in your art class to promote creativity." Bunches of inexpensive kid-friendly craft projects. Make various insects, some spiders, and paper roly-polys (sowbugs, woodlouse). Everything's illustrated, with written instructions and parts lists, like a cookbook's recipes! Build Your Own Kaleidoscope Lets kids try out different shapes, lines, all sorts of things from a menu that then gets displayed as a kaleidoscope! Fun and encourages creativity and inquiry. her clothes, hair, earrings, necklaces. Color Vision and Art This site covers the science behind our color vision as it effects art. (If we did not have color vision, all our art would be grayscale. Ugh.) Interactives and a lot of new-to-us art concepts make this a very enlightening site. Use sliding color bars to see what great paintings look like at different color levels. See how the difference between older and newer parts of the human brain affect how we see Monet's painting. Technical terms explained, too. Learn the technicalities of Peripheral Vision. Decide if Mona Lisa is smiling or not. One of many sites at WebExhibits. Colouring Page Lots and lots of cartoon art to print out and color. Organized into Animals (lots), Cartoons & Movies (31 pages with 6 - 12 on each page) everything from Alvin to Wreck-it-Ralph! Includes Shrek, Tangled, Spongebob, Smurfs, Lorax, Nemo, Madagascar, many more. Also has a section of Holidays Colouring Pages, including Christmas. Coloring Pages has online and printable coloring pages, plus more. "Free different types of coloring pages are easily available at morecoloringpages.com such as printable coloring pages, coloring books, and online coloring activities for young kids in different categories." They really do have a lot. Thanks to Jonkrishna Robat for the email. Coloring Pages 24 ", The interactive coloring website. We produce high quality coloring pages and share them with you for free. If you don't have a printer you can use our interactive online coloring tool." Content updated daily. LOTs and lots of printable coloring pages. Coloringcastle is an awesome, awesome page. It has coloring sheets for every holiday, alphabet, numbers, military, space, animals, food guide pyramid etc...etc... Needless to say there are many good coloring sheets for you all so please check this site out and enjoy! This site uses PDF files. Cool Coloring Pages "Cool Coloring Pages - Free educational coloring pages for kids. High quality, professionally formatted in pdf file format. Perfect for home childcare providers, and parents teaching children basic concepts at home." This great site has everything - animals by type, plants by type, shapes, calligraphy, countries, flags, crosswords, word searches, telling time worksheets, dot to dot, holiday pages, lots more! Good site layout and graphic design, too. But wait, there's more! "All the coloring pages on our site are free and printable! Download and print as many copies as you like for your personal use or for the classroom. Color individual pages or download a bunch to make your own coloring book. Cool Coloring Pages... Coloring pages for Your children !!!" The site's from Poland but it's all in English. So thank you, Mr. Wiktor Chmur, for emailing us about your site. Crayola Yes! The crayon people! The site has "Coloring and Crafts" with printable coloring projects, "Games and Fun" with some good color-related online games, "For Educators" with lesson plans and more, and "For Parents" with various activities. A well-made site. Cursive Monsters by funkylindsay on Flickr. Pinned by Alina Hensley via PediaStaff. Your kids write their name in cursive and color in the gaps. Presto - monsters! Cyberkidz [includes art and coloring sections, which is why it's also in Art] "is an educational platform for boys and girls in the age of 4 till 12 years. By playing the educational games, children will practise subjects they learn in elementary school (PK-5)." The games are sorted by year from age 4 to 12, using a sliding bar. There are dozens of fun, playable games in every curriculum category, with new ones being added. This excellent site is from the Netherlands. DLTK Kids Coloring Dozens of coloring pages to print out. You may also make calendars from here. Daily Coloring Pages Yes, here's another free online/printable coloring site! It's a good one, too. Pinterest page. "Each letter is filled with pictures of animals whose names begin with that letter. They're beautiful even in black and white!" Design Your Own Bill from US Bureau of Engraving & Printing. Lets kids design and color their own paper currency, with funny faces, etc. Computer kids had fun doing this. 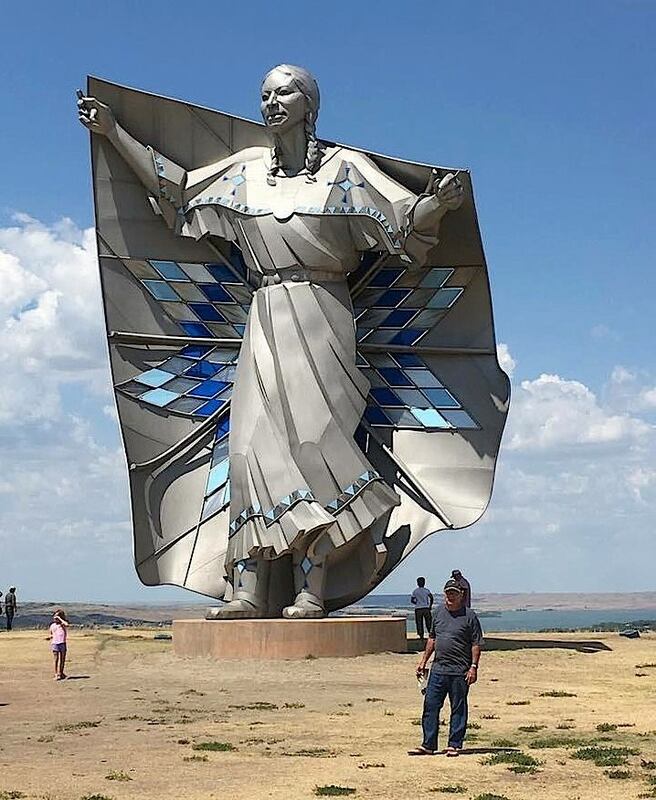 DIGNITY - by Dale Lamphere, in honor of the women of the Great Sioux Nation. Dignity is a metal sculpture of a shawl dancer. Dignity sits on a bluff just east of Chamberlain, South Dakota, on I-90. The Missouri River is in the background looking west. Drawing for Children is a great, very cool, free download (Windows only) from the Netherlands. It says "drawing" but it has been used in computer labs for language arts, too! You can enter text and load .bmp files from Windows Paint. "Drawing for Children is a free drawing program for children with many nice options. The best way to learn to use it is simply to use it. There is though a document describing the use of the program. For more information, see the readme file." Click on everything! Right click, left-click, hold down both sides of the mouse at once! Easter Craft - Easter projects for all ages. A part of Kidfolio. 53 pins of various projects with differing levels of difficulty and media. Plenty off egg projects included. Free Coloring Many coloring pages to print out; dental, flowers, etc. GCompris Our first app from France! Available in over 40 languages (see their main page for a list). "GCompris is an educational software suite comprising of numerous activities for children aged 2 to 10...Currently GCompris offers in excess of 80 activities and more are being developed. GCompris is free software, that means that you can adapt it to your own needs, improve it and, most importantly, share it with children everywhere." Computer discovery, color, sounds, memory, experiential, amusement, reading, mathematics, puzzles, telling time, money, and strategy games like macala. Some of these will really make a child think! Another SourceForge offering. GREECE - ancient art wasn't black & white All those white statues! Guess what? When they were new , they were brightly colored! 2,000+ years out in the weather scrubbed off the paint. Scientists have found traces of color, though. Now you can see computer art of statues in all their original glory! This 7:30 video is a survey of some of the best known sculptures. Greek Gods and Goddesses A new retelling of the principal dieties for students. "GreekGodsAndGoddesses.net (GGG) was created in 2012 to provide an informative, easy to follow, and attractive online resource for information on the Olympian gods in Greek mythology... From K-12 students to mythology enthusiasts, GGG offers anyone interested in the Olympian gods an opportunity to enjoy learning about them." The site will be expanded in future to include more bios and facts about other figures in Greek Mythology. Go to this site and enjoy it! Thanks to Joshua for the email! How To Draw And Paint Smart "Drawing Secrets Revealed! Learning Art is fun, but it can also be hard at times without good instruction. We are here to help! Learning from art professionals with years of experience puts you on the fast track to becoming a better artist. Tutorials, Tips & Techniques From Professional Aritists to YOU!" This is a very good place for anyone to learn principles of drawing. Thanks to Michael "I draw and color for a living" Thoenes. 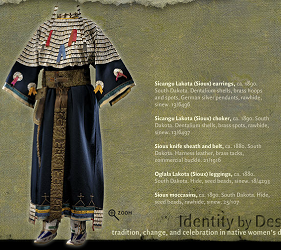 Identity by Design from the Smithsonian Institution's National Museum of the American Indian. The artwork here is outstanding. Pages and pages of Native dresses, beadwork, and accessories over the last 200 years. Each dress has its own page which can be magnified. The site tells the story of how Native women are keeping their various tribal traditions alive through this fantastic artform. Click on the category header along the top of the screen, then use the white Next arrows to move around. Ivy's Coloring Pages features pages to print and color, online coloring, links to other sites. Jan Brett Coloring Pages Here are LOTS of Jan Brett printable pages for kids to color! Holiday and yearly event themed, and pages from her books. JigZone is a "Jigsaw Puzzle Paradise". Make one of their many online puzzles in 16 different piece numbers and shapes, from six to 247 pieces. There are daily puzzles and puzzle galleries. You can even upload photos and make them into puzzles! It's free, although they do sell things in their online shop. Kea Coloring Book "The NEW VERSION of Kea Coloring Book features higher resolution pictures, a resizable window, and improved graphics. All the fun. None of the mess!" This free program lets kids color, save and print. It's like a coloring book on your computer. At least 250 more pictures can be downloaded from the site and added to the coloring books. You can download the program at various download sites (the Kea site links to C/NET's Download, which works fine). Kid Cartoonists This site (blog?) lets kids post their art for all to see. Even has a manga section. Also has various puzzles for kids. "Under each drawing I post encouraging comments. The response from kids, parents and teachers has been terrific." KidsWorld from the Minneapolis Institute of Arts. Featuring Fabric Factory, a virtual embroidery activity (seldom seen on kids' game sites); a concentration/match game with George Washington; a treasure hunt using 40 paintings of great art; and a Coloring Book with dozens of printable line drawings of great art! Kids can try to outdo great masters! Virtual embroidery - wow! 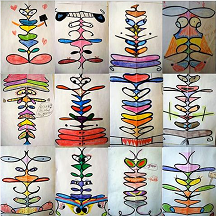 KinderArt "is the largest collection of free art lessons on the Internet. What began in 1997 as a few helpful ideas for teachers and parents, has since grown into an enormous collection of resources featuring thousands of free lesson plans, ideas and resources.” Good help for busy art teachers. Lascaux Cave The Cave of Lascaux is the French government's site (mostly in English) about this stone age cave and its world famous paintings. Click HERE to tour the cave at the updated Virtual Visit , which lets you explore the cave section by section, with closeup Flash pix of the paintings (click the orange letters "en savoir" to do this) and detailed explanations. You may also want to click on the white labels that periodically appear. Eerie music accents this amazing experience. Everyone ought to visit this site at least once. Requires Flash. Also see the Chauvet Cave page. Maria Sibylla Merian & Daughters: Women of Art and Science, is all about this self-educated German artist and pioneer scientist of 369 years ago). She was a trailblazer in entomology (study of insects), botany (study of plants), the study of biomes, use of the scientific method, and accurate scientific illustration. Read her bio and learn about her beginnings at age 13, studying silkworm metamorphosis. Learn about her daughters, and all the profusely illustrated (lots of pix) books she wrote about insects and the plants they live with. The paintings, by the way, are beautiful! The narrated slideshow is definitely worth watching to the end. This woman and her older daughter went to the Dutch colony of Surinam in South America by themselves (gasp) at a time when "respectable women" did NOT! EVER! DO THAT! Read how the daughters followed in mom's footsteps and became great painters in their own right. They helped illustrate mom's books, and kept them in print, with a little help from Czar Peter (The Great) and other friends. Check out the ladies' paintings here. This site is from The Getty Museum in Los Angeles. Visit if you're in the area, and be amazed. The Met Puts 400,000 Free High-Res Images Online" Collossal & stupendous! “...more than 400,000 high-resolution digital images of public domain works in the Museum’s world-renowned collection may be downloaded directly from the Museum’s website for non-commercial use.” Even better, the images can be used at no charge (and without getting permission from the museum). In making this announcement, the Met joined other world-class museums in putting put large troves of digital art online. Witness 87,000 images from the Getty in L.A., 125,000 Dutch masterpieces from the Rijksmuseum, 35,000 artistic images from the National Gallery, and 57,000 works of art on Google Art Project." Short of going to the museums, what better way to introduce kids to the real deal in art? 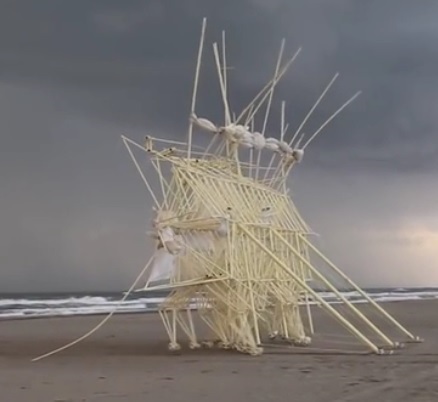 Moving sculptures on the beaches of The Netherlands Amazing! Must see to Believe! Kinetic sculptures made of "electrical tubes" and zip ties that walk along the beach! Myths, Stories, and Art from Windows to the Universe. "Objects in the sky and other natural phenomena have inspired people throughout the ages. Browse our collection of myths, folk tales, and stories of many types about the Earth and sky. Check out artwork, poetry, books, and movies that portray the natural world. Or take a guided tour that tells the tale of a particular scientific topic." Has three levels: elementary, intermediate, and advanced. NGA Kids is the kid section of the National Gallery of Art. Stunning pictures, all sorts of exhibitions using shockwave, Flash, and QuickTime. From an article by Zach Zorich, Archaeology Magazine online; June 04, 2015. "The talons have been dated to about 130,000 years ago, predating the arrival of Homo sapiens in the area by about 50,000 years. The talon necklace is now thought to be the earliest known symbolic Neanderthal artifact." Old Color Photos of Native Americans collected by Paul Ratner "While making Moses on the Mesa, a film about a German-Jewish immigrant who fell in love with a Native-American woman and became governor of her tribe of Acoma Pueblo in New Mexico in the late 1800s, I developed a passion for researching old photographs of indigenous people... Please enjoy this first collection of colorized photos. If you like them, you can find many more at our historical and photographic archive on Facebook." Click the link or log on to Facebook - Moses on the Mesa. Online Coloring Pages "Free online coloring pages, printables, kids puzzles, drawing game and connect the dots (dot to dot) are interesting and funny, help children develop important skills. Color dozens of pictures online, including all kids favorite cartoon stars, animals, flowers, and more." Paint! A Kid's Paint, Draw & Color Game from ABCya! Simple online coloring with various brushes, eraser, and text capabilities. Sound effects. Clicking New resets the workspace. Doesn't seem to have a print option, but you could work around that if you wanted to. PBS Kids Art The art section of the huge PBS Kids site. Mainly lets kids color characters from PBS Kids TV shows. 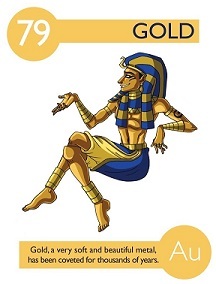 Pigments through the Ages "Pigments are the basis of all paints, and have been used for millennia. They are ground colored material. Early pigments were simply as ground earth or clay, and were made into paint with spit or fat. Modern pigments are often sophisticated masterpieces of chemical engineering. 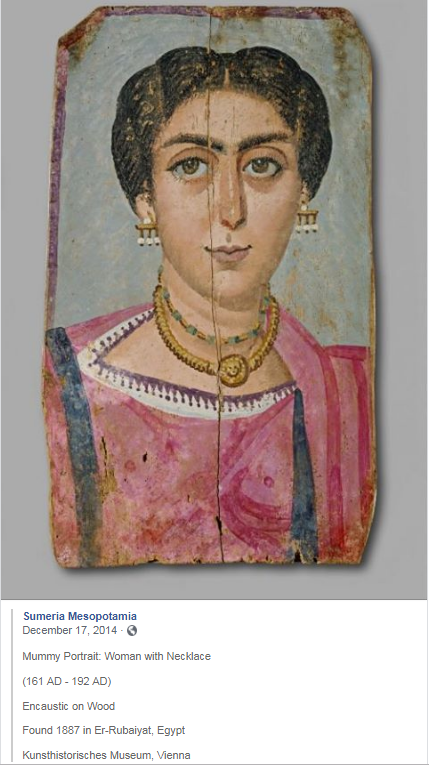 This exhibit includes most important pigments used through the early 20th century." Explore timelines, a pigment catalog, history of different colors, different artist paints, how to mix paint, make your own painting, etc. One of many sites at WebExhibits. The Pottery Page This is a "relic" page we used for a summer project some years ago. Learn about Pueblo and Chinese ceramics. There is also a good commercial site about Sioux Pottery. 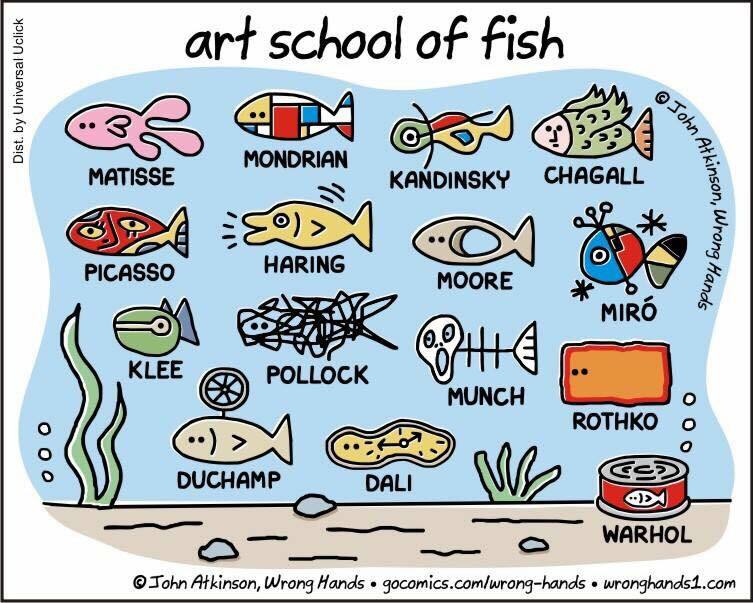 It's all a way to expose students to another kind of art. The three sites from The Pottery Page are listed below. For even more pottery, ceramics, etc., check out SquinchPix farther down this page. Chinese Pottery 100s of ceramics in huge collection! 4,500 years of Chinese craft in 17 different styles. Just go to the pictures on the right side of the page and start clicking. You will be amazed! Pueblo Pottery 60 historical pots from different Pueblos, all on one page. Click on the photos to enlarge them. Sioux Pottery This is the factory in Rapid City. Lots of pictures! Go to the products list at the top, then pick and click! Printable Easter Coloring Pages from sheknows has 20 different pages for children to color. It is easier to Save these and then print your saved copies. The younger kids love to color these. QueekyPaint lets kids draw online with a good selection of tools. Similar to the old Microsoft Paint BUT with a ton of tools and a more professional look. SquinchPix Image Resource - "An Archive of European Imagery" Utterly astounding. Many thousands of artifacts, sculptures, paintings, castles, churches, temples, pottery, ceramics, dishes, jars, ancient helmets, Minoan buildings, Pompeii, etc etc etc. All labelled by date made/built and location. Super Coloring "Search through 16912 colorings" Here's another coloring (or "colouring") site for pre-K through adult. Coloring online or download the pictures. There are seven pages of classical art (1st 2 1/2 pages are biblical art, the rest are not), 1 1/2 pages of Tinkerbell and friends, pages and pages of cartoon characters (yes, they have Pokemon! ), even a dot-to-dot section. You can even submit your own. This is a neat find. Thanks to editor Kate for putting this together. TheColor.com Online Coloring for kids! (or anyone else) "Why is Thecolor.com unique? We have over 1,000 images to color in online without having to print. This is more online coloring pages than any other online coloring site. TheColor.com helps kids learn color concepts, eye-hand coordination, picture comprehension – these skills form the foundation for early learning success. We are COPPA compliant. 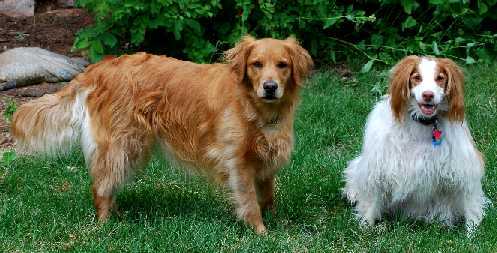 Everyone can use the site as no java, flash or applet is necessary to load the pages. Kids can email the pictures they colored or save them or print them." Right-click on a picture to Save Image As - it saves as bitmaps which is what you want for a wallpaper. We have been looking for a site like this. Think of all the paper you'll save! TimTim lets kids draw and color online without logging on to anything. Quite a few pictures and good onscreen editing tools, too. TouchPaint "A personal project for free public use. This website is a Java applet coloring book website. You pick an image, one of many available, and you are able to color it by touching each area with the currently selected color. You can pick a color from the swatches available or tweak the current color by adjusting its red, green, and blue values. If you click the Print button it opens a new browser window with your colored image so that you can print it. You can email a message to a friend and the message will include a link to your coloring." Thank you, Gilbert Engle, for donating this site to the aspiring artists of the world! Tux Paint Kids really love playing with this program! "Tux Paint is a free, award-winning drawing program for children ages 3 to 12 (for example, preschool and K-6). It combines an easy-to-use interface, fun sound effects, and an encouraging cartoon mascot who guides children as they use the program. Kids are presented with a blank canvas and a variety of drawing tools to help them be creative." Twisty Noodle "Twisty Noodle has thousands of coloring pages and worksheets for kids. You can customize your coloring page or worksheet by changing the font and text. Change the font to block, D'Nealian, or cursive for great writing practice. " VERY useful site for teachers and homeschoolers. United States Black History Month Coloring Pages from Daily Coloring Pages. Lots of printable coloring pages of famous black Americans, including brief bios. Well, hey! We like art as much as any dogs do!